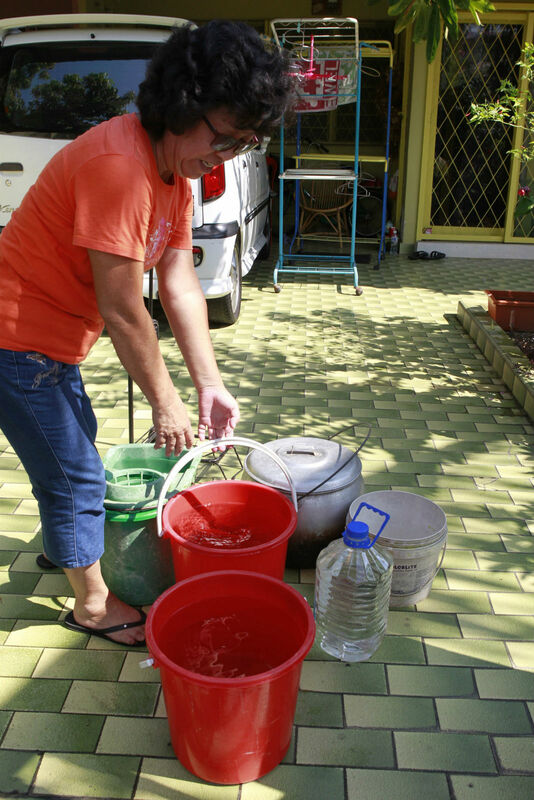 SEREMBAN - Water rationing for some 13,000 households in the south-eastern part of the state has come to an end after the state govern­ment released water from the Talang dam into Sg Ulu Muar. However, this does not mean that the residents are out of trouble yet because they may face rationing again should the dry spell persist. Mentri Besar Datuk Seri Mohamad Hasan said the decision was taken because the river, which had five treatment plants drawing water from it, including Kuala Pilah and Gemas, had fallen below the critical level. "We felt that the best thing to do was to release water from the dam so that we would be able to continue drawing water from the river at all five plants," he said. "We have been monitoring the situation and I am glad to note that Sg Ulu Muar, which almost dried up recently, is now at 90 per cent full." Mohamad said some 110 million litres of water would be released from Talang dam into the river on alternate days. 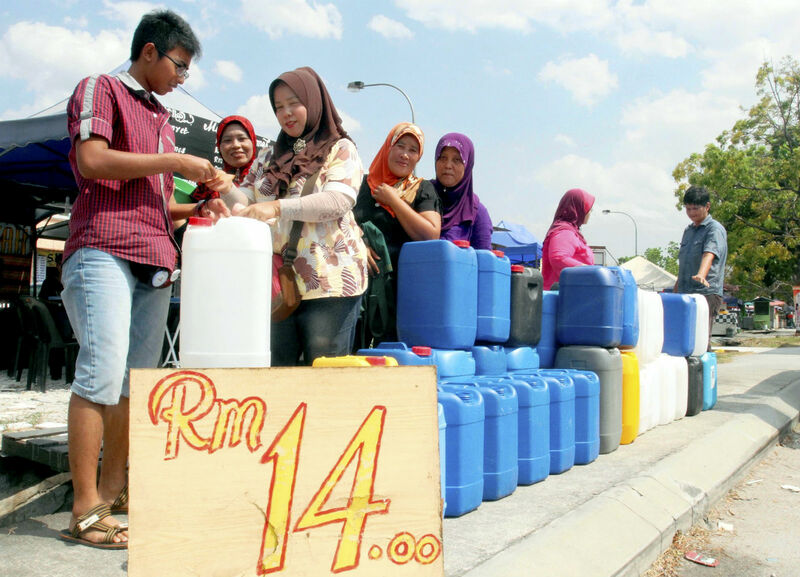 The authorities began rationing water in parts of Rembau, Gemencheh, Jempol and Gemas on March 5, forcing households to receive supply on alternate days, after the level at the Sg Ulu Muar fell drastically. Talang dam gets its water from a river in Kuala Pilah, which has not been affected by the dry spell. State authorities, said Mohamad, had also put in place several contingency plans as the level at the Gemencheh dam fell to 99.41m, just over 1m from the critical level. The dam supplies water to parts of Rembau, Gemencheh and Tampin. "The two rivers supplying raw water to the Gemencheh dam have almost dried up. We are also unable to pump raw water into the dam as it is located away from other river sources," he said, adding that rationing would be carried out in these areas by the end of the month should the dry spell persist. On another matter, Mohamad said residents in Sikamat near here had been experiencing water disruptions after one of the treatment plants in Sg Terip malfunctioned. "We will dispatch tankers to the affected areas," he said. Resident of Taman Setia Balakong, Noraini Baini, 43, was helping her neighbour who was standby at fourth floor and pulling all the water that they have filled into the bucket and bottles. 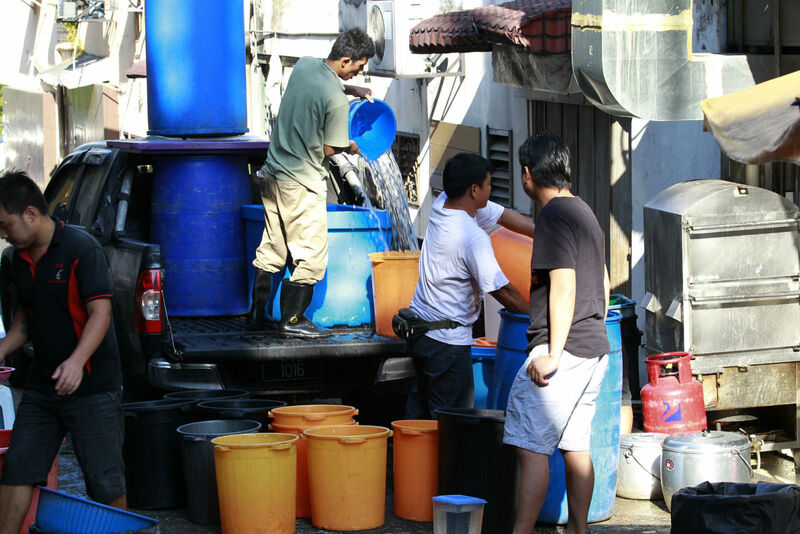 A resident with buckets of water in Bukit Anggerik, Cheras, Selangor Malaysia on 4 February 2014. 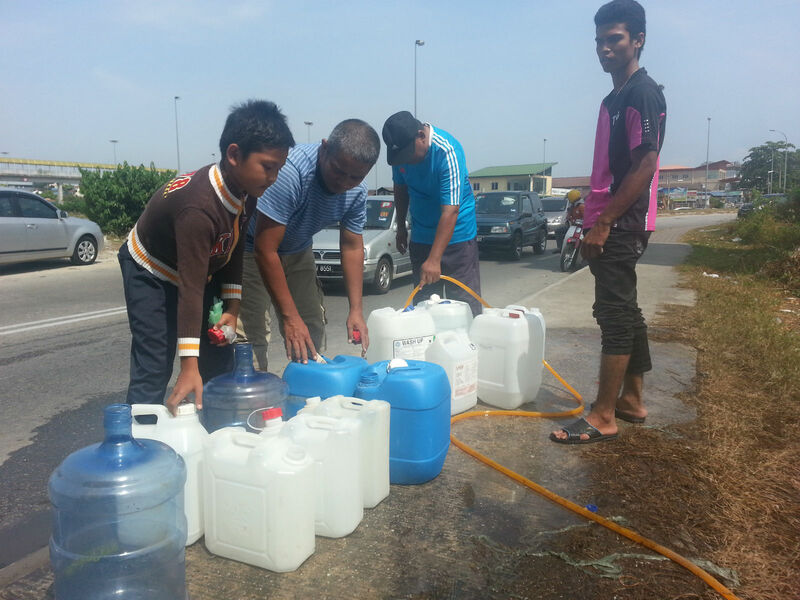 People selling barrels of water in Balakong, Selangor. Residents in Selangor and the Klang Valley are experiencing water supply problems as the country faces one of its driest seasons. 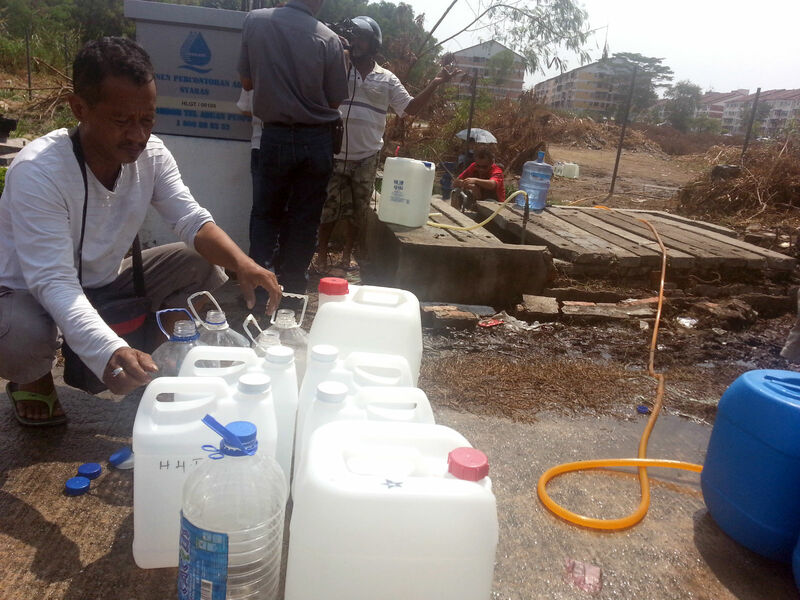 Water delivery in Bukit Anggerik, Cheras, Selangor Malaysia on 4 February 2014. 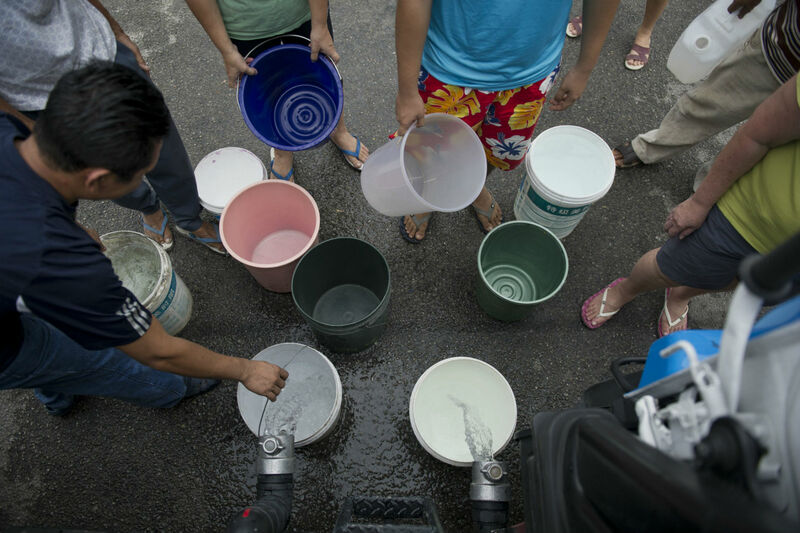 Residents of Balakong, Selangor, without water supply for more than a week, huddles around public pipes outside their neighbourhoods to collect water during the Selangor water crisis. Jamaluddin Salleh, a factory worker, needs to make eight trips a day to collect treated water from a public pipe during the Selangor water crisis. 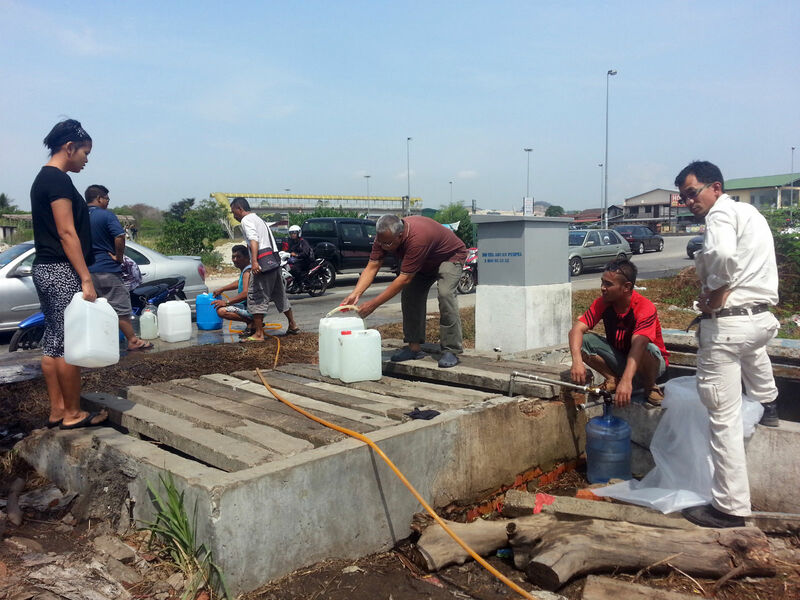 A family from Balakong, Selangor collects treated water from a public pipe during the Selangor water crisis. 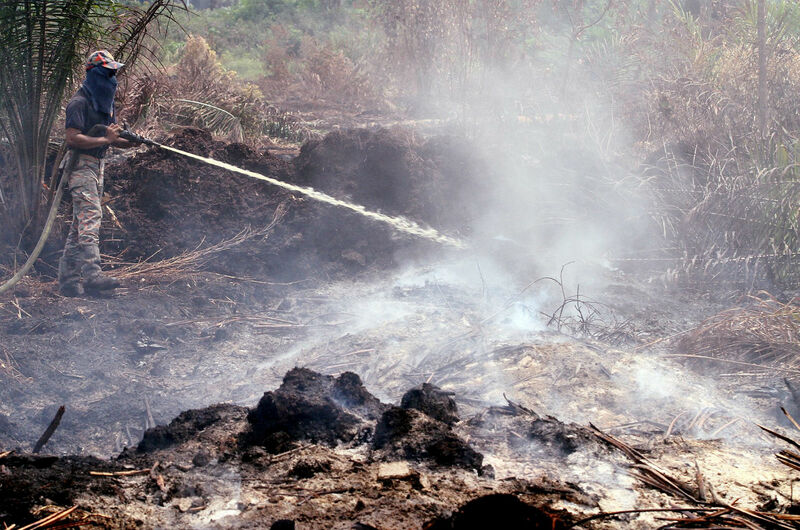 The heat is on: Fire and Rescue personnel trying to douse the peat soil fires at Jalan Kebun near Kuala Langat. 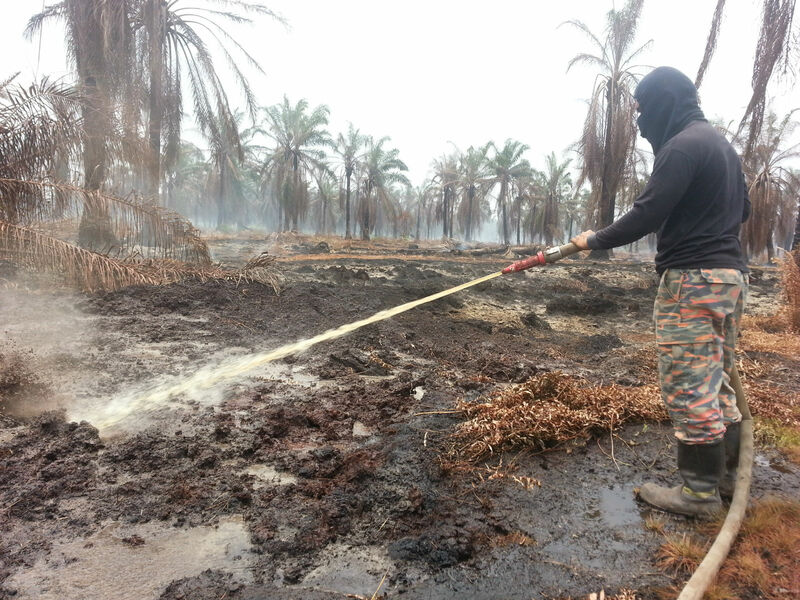 Fire fighter Mohd Fuad Wan Ali spends his days pumping thousands of litres of water into peat land to extinguish persistent underground peat fire in Johan Setia, Selangor. 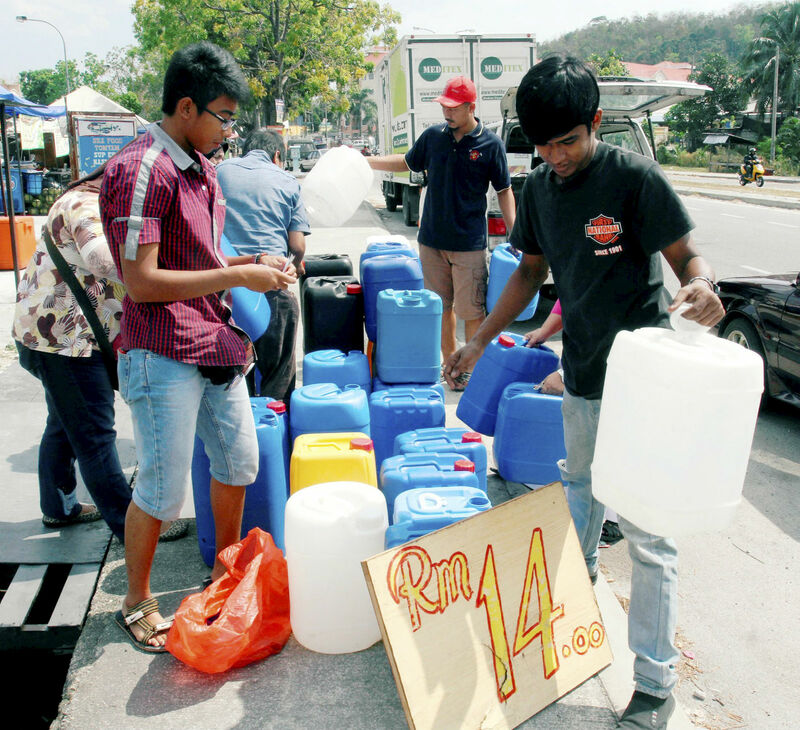 Residents queue to collect water from a tank truck in Balakong, outside Kuala Lumpur. 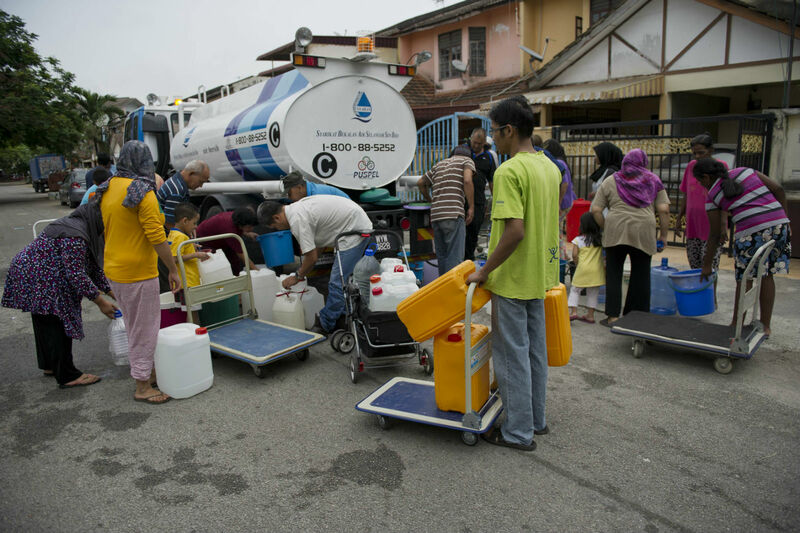 Residents collect water from a tank truck in Balakong, outside Kuala Lumpur. 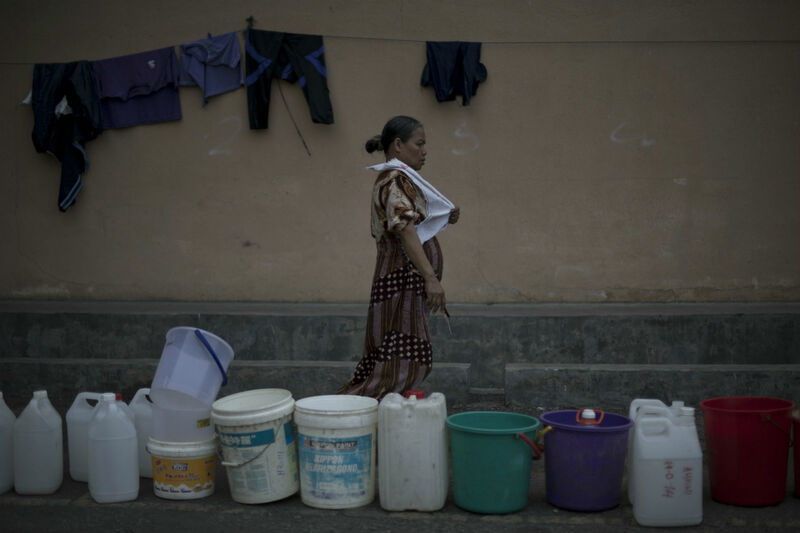 A resident walks past water containers as she waits for water distribution in Balakong, outside Kuala Lumpur. 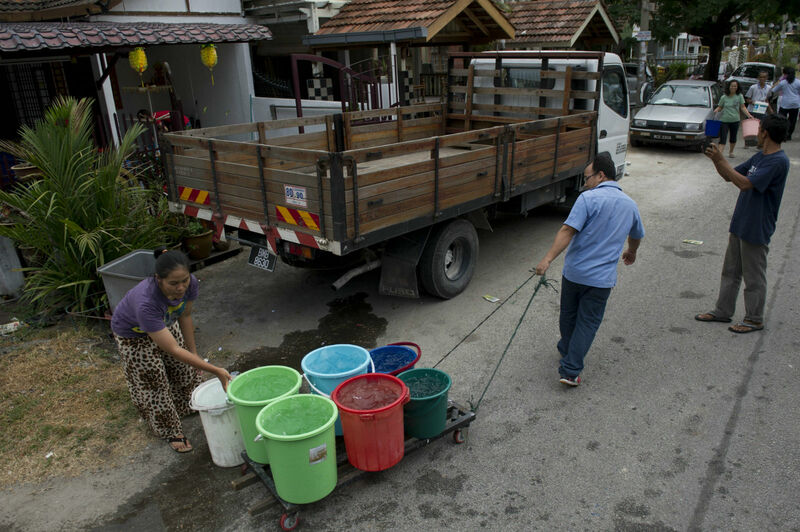 A resident (C) drags away water using a wheelbarrow in Balakong, outside Kuala Lumpur. A placard showing the number of days without running water in the residential development is seen as residents queue to collect water. 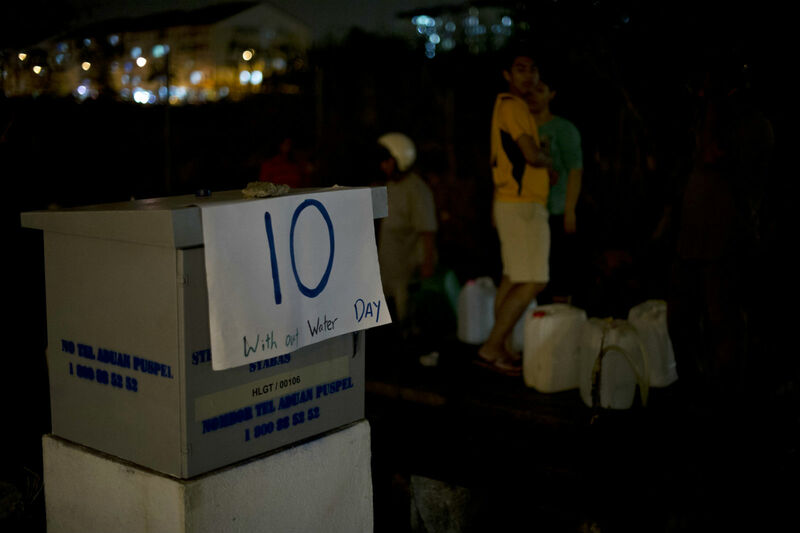 Selangor declared a water crisis on February 19, after thousands of taps ran dry following weeks of drought.